In which Ann Jones goes for a stroll around something new. I vividly remember standing on the balcony of the members’ room during a private view when Tate Modern opened in 2000. As a Londoner a few years out of art school, it felt like a very significant moment. Through the 90s, although publicly-funded spaces like the Whitechapel, ICA, Serpentine and Hayward were staging great shows and the contemporary commercial gallery scene was growing apace, it was the artist-run initiatives that seemed to define the city and they were inherently inward-looking. Suddenly the whole contemporary art scene was legitimised by a museum that would clearly be of global significance. The Tate Gallery (as was) re-emerged as Tate Britain, and the modern art collection had a lovely new home of its own (okay, so the building was second-hand, but how beautifully done). It took a while to get the hang of things; contemporary art by British artists could, of course, be shown in Tate Britain or Tate Modern so the Millbank building retained its relevance but, like many I suspect, seduced by the new, my focus was all about the Modern. The scale of the place was extraordinary. In particular the vastness of the Turbine Hall and the ambitiousness of those huge-scale Unilever commissions seemed to put my city much more firmly on the global art map. From my doubtless ill-informed perspective, it looked like New York was rattled. MoMA, long the gold standard of modern art museums, quickly annexed PS1 (doubtless to the benefit of both and doubtless long-planned, but from here, to me at least, it had a slight look of panic). Though Tate Modern attracted a large number of visitors (generally around 5m rather than the projected 2m a year) it was nonetheless constrained by a collection lacking key areas of practice (Tate owned little photography at that time, for instance, having for years only bought photographs if they were documentation of performance art) and was largely limited to works by artists from Western Europe and North America; additionally, women artists were woefully underrepresented. 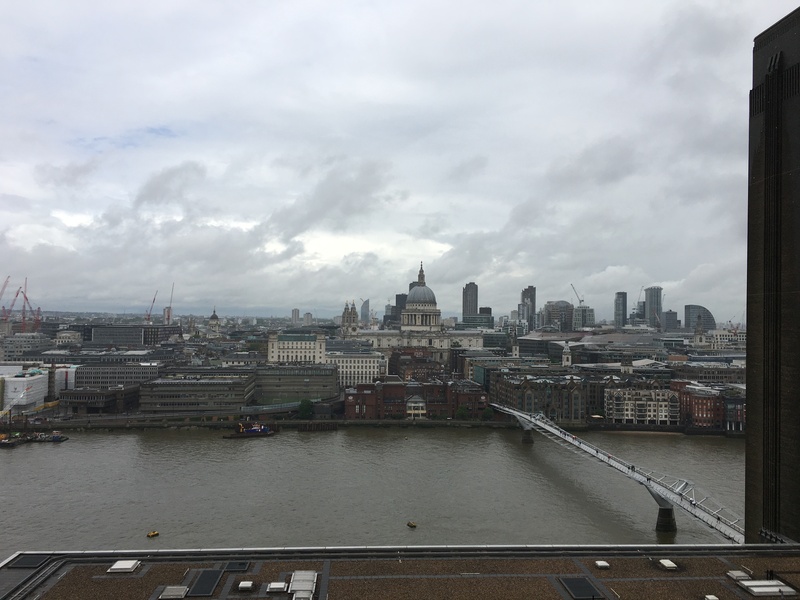 Though Tate Modern confirmed London as a centre of the art world and though it felt really important, visitors might have been forgiven for thinking the art world was rather smaller than it might have been. 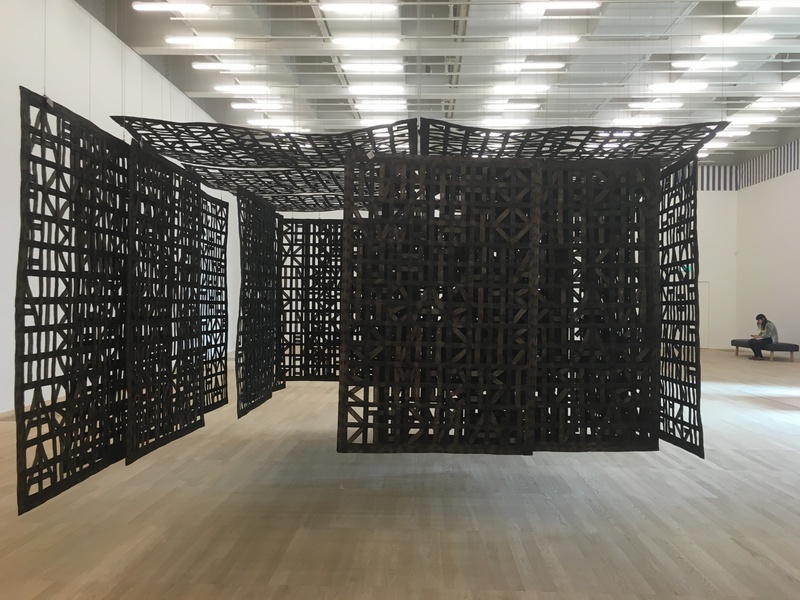 Given Tate’s remit and the degree to which the audience for contemporary art has increased in that time, it would be odd if the collection hadn’t grown significantly in the last decade-and-a-half. 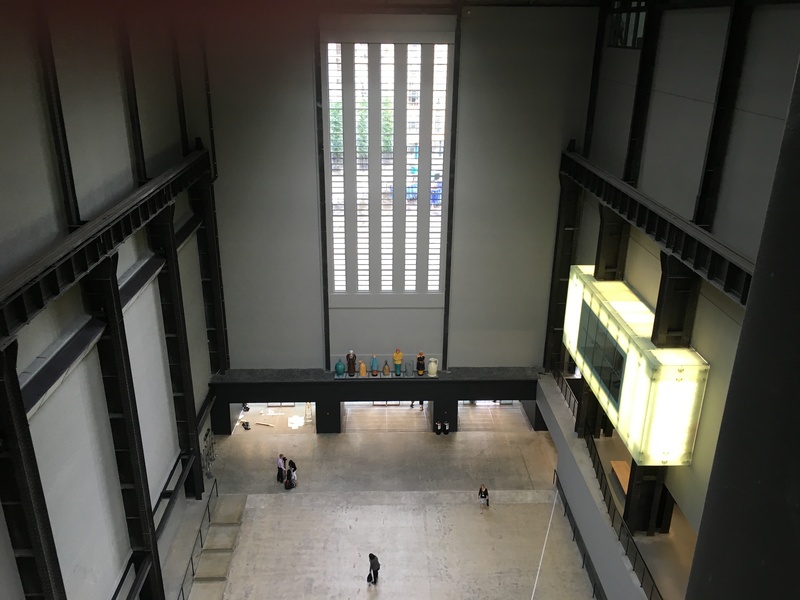 Clearly, museums aren’t able to have all of their collection on show all the time but, while Tate Modern was big, it’s easy to see why it’s no longer big enough. Finally, this weekend, after years of planning and building, the extension opens its doors. In the main, the work on display will be here for a while but there are some exciting live art events scheduled for this opening weekend. It’ll be busy, I’m sure, but it’ll be worth a visit. If nothing else, it’s not everyday you get to see police horses in an art museum. 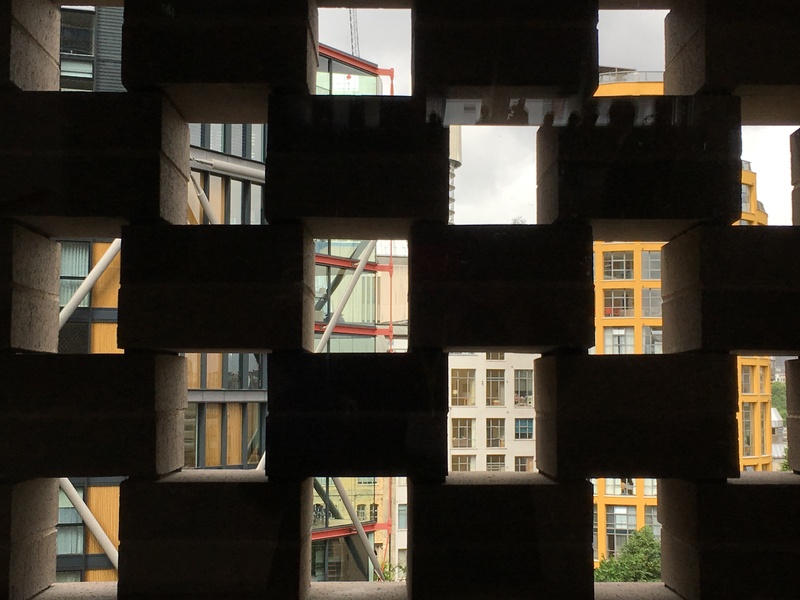 As with the original conversion of Bankside power station into Tate Modern, the architects for the extension – the Switch House (the existing building is now the Boiler House) – are the Swiss architects Herzog & de Meuron. Watching it grow over the last couple of years, from the outside the new building appeared so angular it was hard to imagine it as a container for white wall contemporary galleries. Now complete, though ten storeys tall, this twisted pyramid somehow sits low on the ground as if to emphasise how rooted it is in this place, growing – as it does – out of the oil tanks of the old power station. The Tanks were first opened as a space for performance works for a few months in 2012 before closing for the Switch House to be built above them. Rough and unconventional as museum spaces, the Tanks offer a different way to encounter art. That these spaces will be dedicated to live art, film & installation, and that the rest of the Switch House is focused on art that activates its audience – a change in the relationship between artist, art object and audience that started in the 1960s and has been evolving ever since – sets Tate aside. 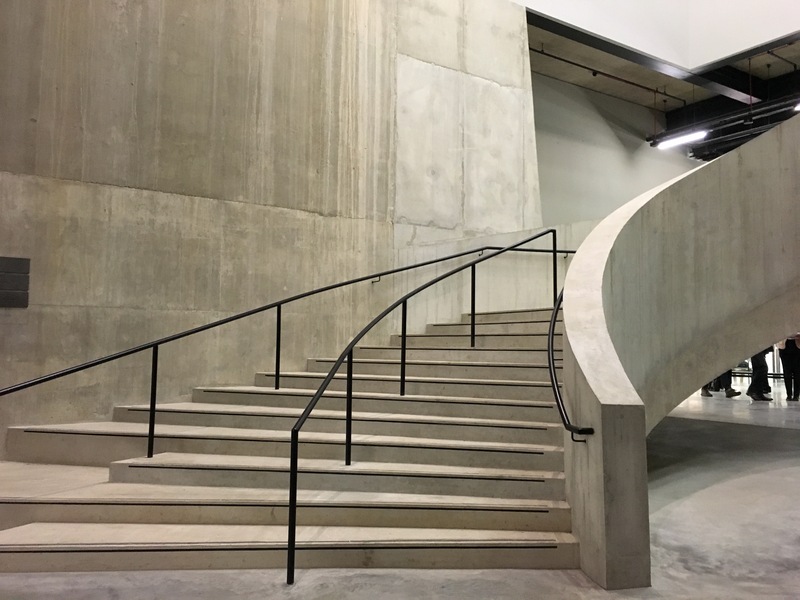 At the heart of the new building are large, well lit gallery spaces (on levels 2, 3 and 4), wide walkways with unexpected views, and a generously proportioned polished concrete spiral staircase that takes us up from the Tanks to the galleries above. There are spaces for education and exchanging ideas – unconstrained by the white walls of the gallery spaces, these are angular spaces with sharp corners and views out – as well as the usual restaurants, bars and a new members’ room. In addition to the existing platform on level 1, there is a new walkway on level 4, high above the Turbine Hall to connect with the Boiler House; there are now entrances to Tate Modern from three sides: north from the walkway by the river, west down the ramp into the Turbine Hall and south through a small public garden into Southwark. Like the Great Court of the British Museum, Tate Modern now offers a way to navigate its neighbourhood. And what of the art? That’s why we’re here, after all. The new spaces are as beautifully installed as one would hope and the work sits well with the recent rehang of the Boiler House collection galleries. 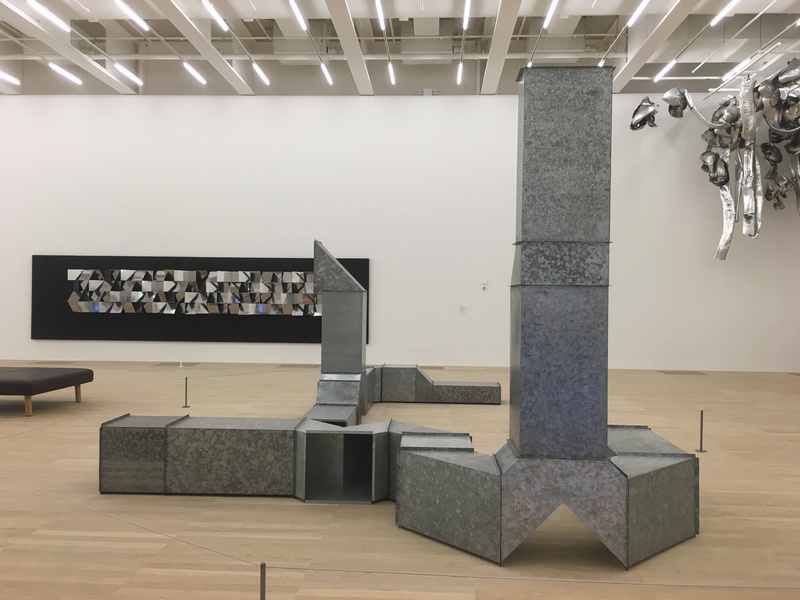 Though there are some familiar works – Carl Andre’s Equivalent VIII is here, for instance as part of Between Object and Architecture – most of the work on display has been added to the Tate collection since Tate Modern opened in 2000. That room of Guerrilla Girls and Warhol posters in the Media Networks display on level 4 of the Boiler House resonates more strongly in a museum which can boast that 50% of the solo displays are by women – a huge step forward given that when Tate Modern opened in 2000 only 17% of the works on display were by female artists. Significantly, the paying exhibition in the Boiler House at the moment is of Mona Hatoum’s work and in recent weeks new films by both Laurie Anderson and Rebecca Horn have had their first UK screenings in Tate Modern’s Starr Cinema (my mini reviews of these are that Anderson’s Heart of a Dog is as warm and funny as its maker while Horn’s Glowing Core is tediously pretentious and the kind of film that so often gives artists’ film a bad name). In addition to the more equal gender balance, there is much more work on show from outside Western Europe and North America; the world within this building is now thankfully rather more diverse. Ultimately the building is a great addition, not just to Tate and to the art world (and the place of contemporary work within it) but to London. Nowhere is this more apparent to me than when the lift doors open on level 10 – the viewing level – and I look across the space and out over the Boiler House and across the river to St Paul’s Cathedral. Emerging from the lift, in unison with those who ascended with me, I find myself emitting an involuntary “Wow!” The viewing gallery goes right round the building providing new views of London in every direction, but it was that first moment that gave me the same spine-tingling sense of the importance of the place that I remember from that first visit to Tate Modern sixteen years ago. Both London and the art world have changed a lot in the meanwhile (and while this time I don’t remotely think it’s a case of New York running scared, the Whitney recently moved into a new building, the Metropolitan Museum now has a separate space for modern and contemporary art and MoMA is in the process of expanding); the Switch House provides a point of focus for new realities as well as one of the best views of London anywhere. And it’s free.